Waypoint Real Estate – Area Specialists in the greater Midrand Estates comprising of Midstream Estate, Midfield Estate, Midlands Estate, Midstream Hill Estate & the latest upcoming development Midstream Ridge Estate. We offer professional service & expert advice whether buying or selling a property. Our area of expertise covers Vacant Land, Townhouses, Houses, Building Packages and Turnkey Projects. 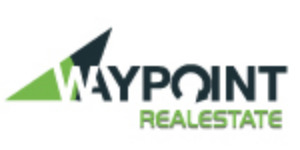 Waypoint Real Estate – A sense of direction!